If you are looking to have fun driving around Halifax or elsewhere in the Maritimes, come test drive the 2016 Mazda CX-5 today in Halifax, Nova Scotia at City Mazda. Most compact SUV buyers are looking for one thing and one thing only, interior space. That said, some buyers also want to save fuel while also having a blast behind the wheel. For those buyers, the 2016 Mazda CX-5 is exactly what the doctor ordered. If you follow automotive news at all, you've probably heard of Mazda’s SKYACTIV technology. It features a host of improvements made to the most important mechanical components of the Mazda CX-5 (and other new Mazda vehicles as well) including the engines, transmissions, chassis and body. The idea behind SKYACTIV is to make everything lighter and more efficient, which in turns makes it possible to extract the most performance out of every drop of fuel. The compression ratio, for example, has been increased dramatically to levels rarely seen on a vehicle of any class, let alone on a compact SUV. This means that you can extract more performance from every drop of fuel which in turn means that you have optimized performance for a given drop of fuel. The exhaust system has also been optimized to ensure that airflow is less restricted which also improves engine performance. 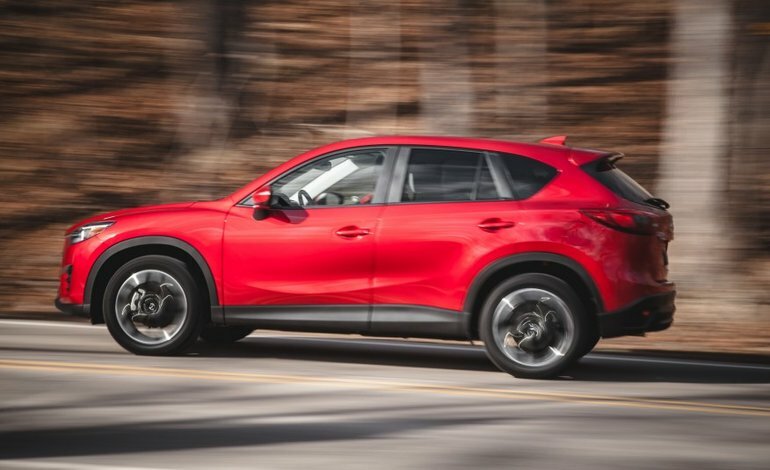 The 2016 Mazda CX-5 features two available transmissions (a six-speed manual and a six-speed automatic) which are lighter and more compact, and also optimized to perform more fluidly and rapidly. That means that while they improve fuel economy, they also are a blast to handle. There are two engines in the Mazda CX-5 lineup. The first is a 2.0-liter, four-cylinder engine that delivers 155 horsepower and 150 lb-ft of torque while the second is a 2.5-liter, four-cylinder engine that offers 184 horsepower and 185 lb-ft of torque. Each engine features class-leading fuel economy that is below 8.0 liters per 100 kilometers on the highway. To learn more about the 2016 Mazda CX-5, contact us today at City Mazda in Halifax!